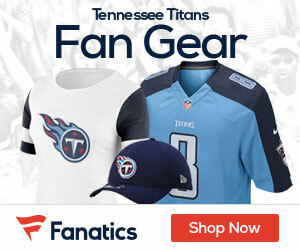 For the Titans, it may have been a case of overlooking a team they clearly should have handled. 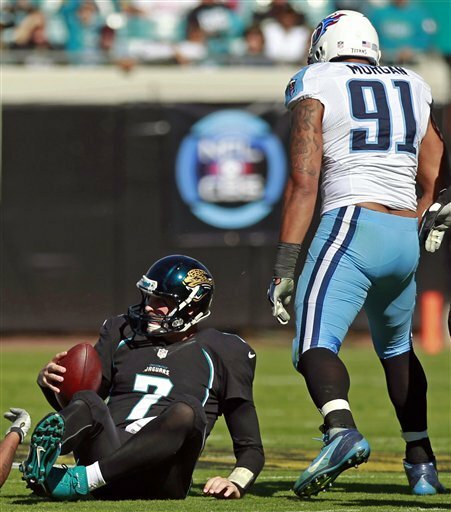 Sunday in Jacksonville, the Titans looked like a team that ate too much Thanksgiving turkey, falling to the one-win Jaguars 24-19. Chad Henne went 17-for-26 with 261 yards with two scores for the Jags, who won their first game of the season at home. The loss puts the Titans at 4-7 on the season, and this loss may have been the one that hurt the most with the team looking to get to 5-6. Jake Locker made his second straight start for Tennessee after missing five games with a shoulder problem and threw for 261 yards with one touchdown and two interceptions on 23-of-40 passing. Henne got the starting call in place of Blaine Gabbert, who was hurt in last week’s loss to the Houston Texans and was subsequently placed on injured reserve earlier in the week. Rashad Jennings ran for 43 yards and a score on 16 carries, while Cecil Shorts caught four passes for 105 yards and a touchdown for the Jags (2-9), who finally put the brakes on a seven-game slide. They came close last week in a 43-37 overtime loss at Houston and won for the first time since a 22-17 triumph over Indianapolis in Week 3. Chris Johnson ran for 80 yards on 21 carries and Kenny Britt snagged a touchdown pass for the Titans (4-7), who were coming off their bye and failed to build on a 37-3 win at Miami two weeks ago. The Titans, who earlier this season were looking at the AFC with hopes of maybe a wild card birth, can forget about that, as they have dropped three of its last four games. I’d say go back to Houston and stop embarrassing Tennessee with your losing, but I’m sure they’re happy with the Texans. So go move to Los Angeles! And while you’re at it, how about a name change from “Titans” to something more appropriate, like maybe “Nymphs”?